The challenges to teacher educators in sub-Saharan Africa are acute. This paper describes how the Teacher Education in Sub-Saharan Africa (TESSA) consortium is working within institutional and national policy systems to support school-based teacher professional development. The TESSA consortium (13 African institutions and 5 international organisations delivering teacher education across 9 countries) designed and produced a bank of open educational resources (OERs) to guide teachers’ classroom practices in school-based teacher education. Drawing on examples from the TESSA consortium and from the University of Fort Hare, South Africa, the authors categorize the forms of TESSA OER integration as highly structured, loosely structured, or guided use. The paper concludes by outlining success factors for the integration of OERs: accessibility, adequate resources, support for teachers, accommodation of local cultural and institutional practices, and sustainable funding. Thakrar, J., Wolfenden, F. & Zinn, D. (2009). Harnessing Open Educational Resources to the Challenges of Teacher Education in Sub-Saharan Africa. 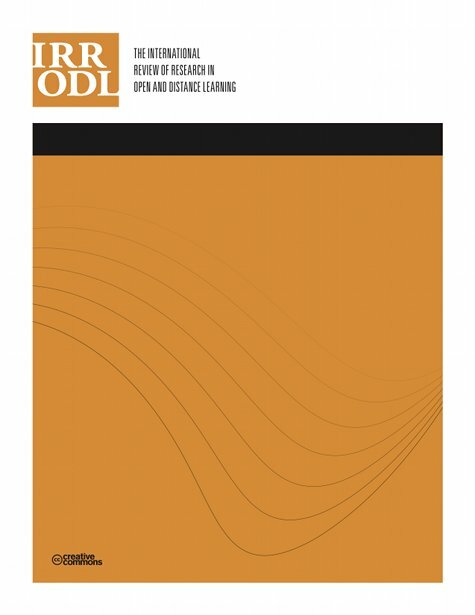 The International Review of Research in Open and Distributed Learning, 10 (4),. Athabasca University Press. Retrieved April 20, 2019 from https://www.learntechlib.org/p/49655/. Adekola, O.A. (2007). Language, literacy, and learning in primary schools: Implications for teacher development programs in Nigeria. Washington, DC: World Bank. Annan, K. (2005). USD200 Million pledged for African universities, including better Internet access. Department of Education (2003). Draft white paper on e-education– transforming learning and teaching through ICT. Pretoria, South Africa. Department of Education (2005). Educators for the future: Meeting educator shortages to achieve education for all. Pretoria, South Africa. Department of Education (2006). The national policy framework for educator education and development in South Africa. Pretoria, South Africa. Department of Education (2006). The national policy framework for teacher education and development in South Africa: ‘More teachers better teachers’. Pretoria, South Africa. Department of Education (2008, November). South Africa: National report on the development of education. Paper presented at the 48th Session of the International Conference on Education, Inclusive Education: The Way of the Future, Geneva. Department of Education (2009). Education statistics in South Africa 2007. Pretoria, South Africa. Elmore, R.F. (2000). Building a new structure for school leadership. Washington, DC: Albert Shanker Institute. Elmore, R.F. (2000a). Getting to scale with good educational practice. In B. Moon, J. Butcher, & E. Bird (Eds. ), Leading professional development in education. London: Routledge Falmer. Lawrence, L., & Moyo, G. (Eds.) (2006). Education and social transformation: An Eastern Cape study. Eastern Cape: University of Fort Hare Press. Leach, J. (2005). Deep impact: An investigation of the use of information and communication technologies for teacher education in the global south. London: Department for International Development (DFID). Morrow, S. (2003). Epistemic values in curriculum transformation. In P. Naude & N. Cloete (Eds. ), A tale of three countries: Social sciences curriculum transformations in Southern Africa. Lansdowne: Juta & Co (Pty) Ltd. Moon, B., & Wolfenden, F. (2007, November). Open educational resources, international cooperation and teacher education in sub-Saharan Africa. Paper presented at the EADTU Conference, Lisbon, Portugal. Moon, B. (2008, November). Rethinking the role of the university in teacher education: The teacher education in sub-Saharan Africa (TESSA) experience. Paper presented at the ACU Conference of Executive Heads, Hyderabad, India. OECD (2007). Giving knowledge for free. The emergence of open educational resources. Paris: OECD Publishing. OECD (2008). Review of national policies for education: South Africa. Paris: OECD Publishing. Newman, L. (2008, October 23). SA educational standard is dismal, The Mercury. Nelson Mandela Foundation (2005). Emerging voices: A Report on education in South African rural communities. Cape Town: HSRC Press. Schwille J., Dembélé, M., & Schubert, J. (2007). Global perspectives on teacher learning; improving policy and practice. Paris: UNESCO. Schwille, J. (2007). Effective professional development for teachers. Id21 communicating development research. Smith, M.S., & Casserly, C.M. (2006). The promise of open educational resources. Change 38(5), 8-17. Weber, E. (2007). Globalisation, “glocal” development, and teachers‟ work: A research agenda. Review of Educational Research, 77(3), 279-301.